MSC Cruises—the world’s largest privately-owned cruise line and brand market leader in Europe, South America and the Gulf—announced today the opening of sales for MSC Virtuosa, beginning her inaugural season in the Western Mediterranean on November 8, 2020. Sales are open now exclusively for MSC Voyagers Club members, as one of the many benefits of the loyalty program that rewards MSC Cruises guests. For all other guests, sales will open on December 3rd. MSC Virtuosa will be the fourth ship in the Meraviglia generation and the second Meraviglia-plus ship, an evolution of the Meraviglia class offering additional staterooms and even more public space. MSC Virtuosa has been named to pay homage to the skill and expertise of our architects and shipyard partners at Les Chantiers de l’Atlantique who designed and built this innovative class of ships which delivers “excellence” in both hardware and software when it comes to the guest experience. —Two brand new Cirque du Soleil at Sea shows created exclusively for MSC Cruises’ guests by the world leader in live entertainment, Cirque du Soleil. With performances six nights per week in the purpose-built Carousel Lounge, guests will be able to enjoy a unique experience that cannot be found anywhere else at sea. The partnership overall will total in eight original shows available exclusively onboard MSC Cruises’ Meraviglia generation ships. —The very latest in technology designed to enrich the guest cruise experience as part of MSC Cruises’ digital innovation program, MSC for Me. Zoe, MSC Cruises’ new digital cruise assistant — an industry first — is a bespoke device designed by HARMAN International, the experts in the field of voice-enabled technology. She will speak 7 languages and will be on-hand to offer guests a simple and stress-free way to find out information about everything the ship has to offer in the comfort of the stateroom. Every stateroom will be fitted with this custom-built voice-enabled Artificial Intelligence technology. —An unprecedented choice of both fine dining and more casual options serving fresh, authentic food for every taste, served across multiple venues plus a huge range of bars for every occasion. —The Promenade will be extended with a larger shopping area and will feature a new restaurant concept exclusively for MSC Aurea experience guests. In addition, L’Atelier Bistrot, a new bar and lounge, will offer relaxed seating with a stage and dance floor all located in the heart of the Promenade. —A wide array of family facilities and entertainment make this ship ideal for family vacations, thanks to programming and spaces designed in partnership with leading family experts including LEGO® and Chicco. —Six ports in seven nights in the Western Mediterranean, including the iconic ports of Genoa, Marseille and Barcelona as well as other high-demand destinations. MSC Virtuosa will be fitted with state-of-the-art environmental technology to reduce her environmental footprint including an exhaust gas cleaning system for cleaner emissions; an advanced wastewater treatment system; smart heating, ventilation and air conditioning systems (HVAC) to recover heat from machinery spaces; and LED lighting and smart devices to significantly save energy. This environmental technology is part of MSC Cruises commitment to provide guests with the best vacation experiences at sea in a sustainable way. When booking MSC Virtuosa over the initial two-week opening of sales period exclusive to them, MSC Voyagers Club members will receive a special 5% discount on top of their usual 5% loyalty discount as well as having the first selection of staterooms. All other guests will also enjoy a 5% early booking discount until June 3, 2019. 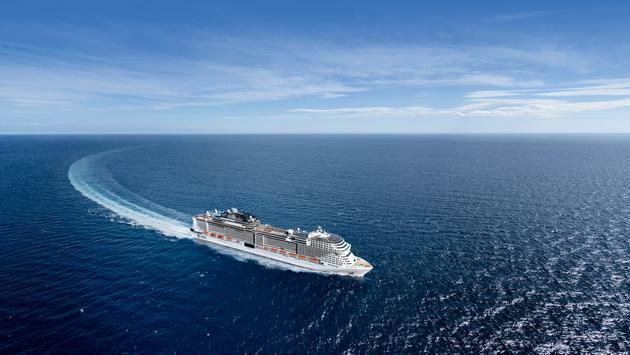 MSC Virtuosa will commence her maiden voyage from Genoa, Italy on November 8, 2020. MSC Cruises has announced that its first Meraviglia-Plus class ship will be named MSC Grandiosa when it enters service in November 2019. The announcement was made by MSC executive chairman Pierfrancesco Vago, as the line celebrated the steel-cutting ceremony for the ship as well as the traditional coin ceremony for MSC Bellissima, which is due to join the fleet in March 2019. In addition to the two ships now under construction at the STX France shipyard, MSC also has two ships being built at the Fincantieri shipyard in Italy, as part of a 10-year investment plan which will see €9 billion invested in 11 new ships. He added: “The Meraviglia generation of ships is already setting a new standard for the cruise industry and is just one of the three brand new prototypes that we have designed to bring the cruise guest experience to the next level. In addition to the first fine art museum at sea, MSC Grandiosa will be one of four MSC ships to feature Cirque du Soleil at Sea in the custom-built Carousel Lounge, Vago said. 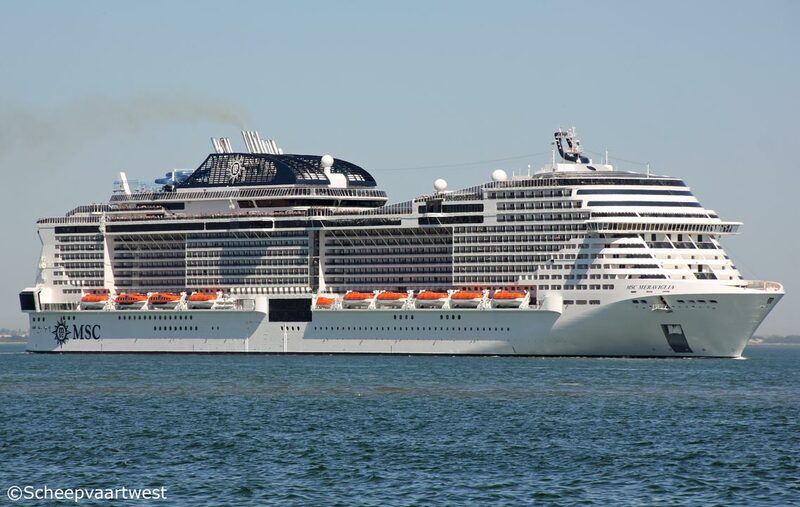 The Meraviglia-Plus ships are an evolution of the Meraviglia class (pictured), which includes MSC Meraviglia – in service since June of this year – and MSC Bellissima. The Plus class will be 331 metres in length, compared to the Meraviglia class at 315 metres, and will have a maximum capacity of 6,334 guests. Designed around meeting every need of its guests, MSC Meraviglia will introduce new, cutting edge ways to connect holidaymakers seamlessly with the experiences that matter to them, whether at sea or on land. Two unique Cirque du Soleil shows will be performed on-board in the evenings, 6 nights per week, at the purpose-build Carousel Lounge. An exclusive on-site dinner service for up to 100 of the 450 guests booked for the show, which elevates MSC Cruises’ exquisite dining and award-winning entertainment to yet another level. In fact, this is a unique experience that cannot be had anywhere else at sea – or in the world, for that matter. MSC Cruises designed a custom-made entertainment venue, the Carousel Lounge, for MSC Meraviglia and its three Meraviglia and Meraviglia-Plus sister smart cruise ships. Featuring the latest technology, this ground-breaking venue, which has been designed to meet the needs of Cirque du Soleil and its performers, will be a circular performance space with a 180° circular glass wall. Kitted out with the most cutting edge equipment and special rigging, the Carousel Lounge will enable Cirque du Soleil performers to deliver their world-renowned performances for the exclusive enjoyment of MSC Cruises guests. With 10 different types of cabin to choose from, there really is something for everyone. MSC Meraviglia makes available to her guests a choice of both fine and casual options through 12 venues – in true MSC Cruises fashion – serving always fresh, authentic food. This starts with the buffet, open 20-hours a day, which will serve a delicious array of Mediterranean specialities and international cuisines – including ethnic, “itinerary” and wellness corners plus a multitude of other tastes and dietary needs catered for round-the-clock. Another feature of MSC Meraviglia is her Mediterranean-style indoor promenade, featuring an 80 metre LED sky that creates an awe-inspiring atmosphere 24 hours a day. With stunning visuals and effects, the Promenade will be the social centre of the ship and a focal point for a broad range of leisure activities. Amongst others, guests can stroll up and down, sit back and take in the atmosphere, shop until their hearts’ content, snack on delicious ice cream or crepes from Jean Philippe Maury, the award-winning French chocolatier and pastry chef. * The main pool, located on deck 15 is inspired by the cool vibes of Miami’s South Beach. At approximately 25 metres long, it has the most generous poolside space at sea. By night, the pool becomes a visual spectacle, illuminated with special lighting. There is also a buffet nearby with inside and outdoor dining options, providing guests with more convenience and optimal relaxation time. * As MSC Meraviglia is the ship for all seasons, there is a 10 metres indoor pool with a magrodome that can be opened when the ship is in port or the weather simply allows for it. * Finally, the Aft Pool on deck 16 offers spectacular views from the front of the ship, while by night is transformed into a space where guests can dance the night away under the stars.